I stamped, coloured in and cut out the daisy stamps and the jars were stamped onto paper before cutting out. 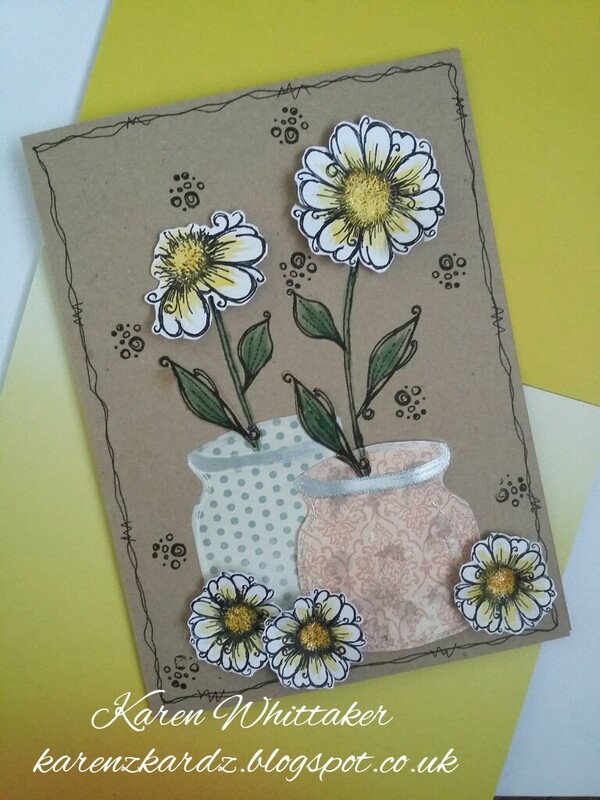 The jars and daisies were then added to the card blank using 3d glue gel. This is gorgeous Karen, love the jars and daisies.